Moms are pretty notorious for blabbing about their favorite foods, products, and books. Girl friends will gush about the latest thing that they HAVE to have. But, guys? Let's face it. Most of them aren't as open about what they want. If there is a man in your life that loves books, here's a list of things he's bound to love (or at least appreciate - men can be hard to READ sometimes). 1.) 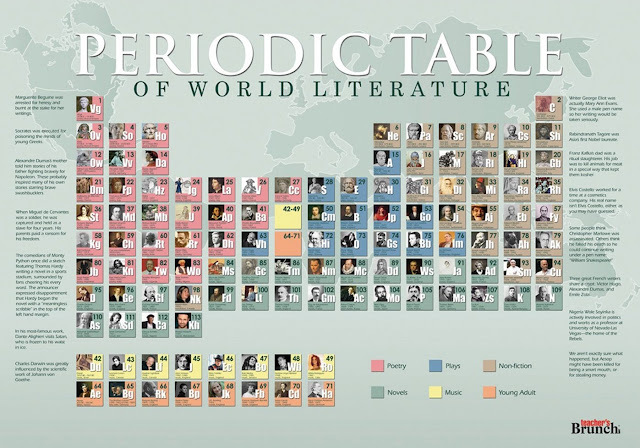 Periodic Table of World Literature - Does the man in your life love literature over time? This fabulous poster can help him keep his favorite authors in order from Socrates to Victor Hugo to JK Rowling. This would be a perfect addition to his office, library, or man cave. 2.) 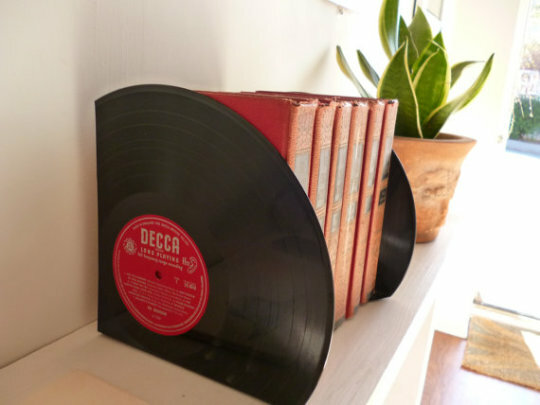 Vinyl Record Book Ends - Every guy has at least some books he wants to keep on display. These book end will be a HIT on any desk or book shelf. Order one for under $16 from Etsy or find out his favorite song or artist and make it yourself using this DIY guide (It's so easy and inexpensive!). Not only can this be a super useful gift (which men appreciate), but it can also be meaningful too. Do you both have "a song" or a photo from a moment you never want to forget? Why not make a personalized label with your own design using these instructions? It will be music to his ears (or eyes . . . you know what I mean). 3.) 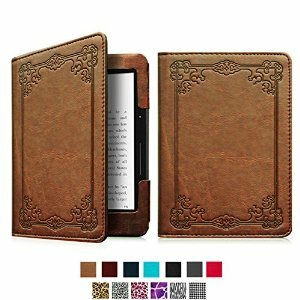 Vintage Book Kindle Cover - If your man (or dad) has finally converted over to digital books, it might be time to let him live a little in the past. 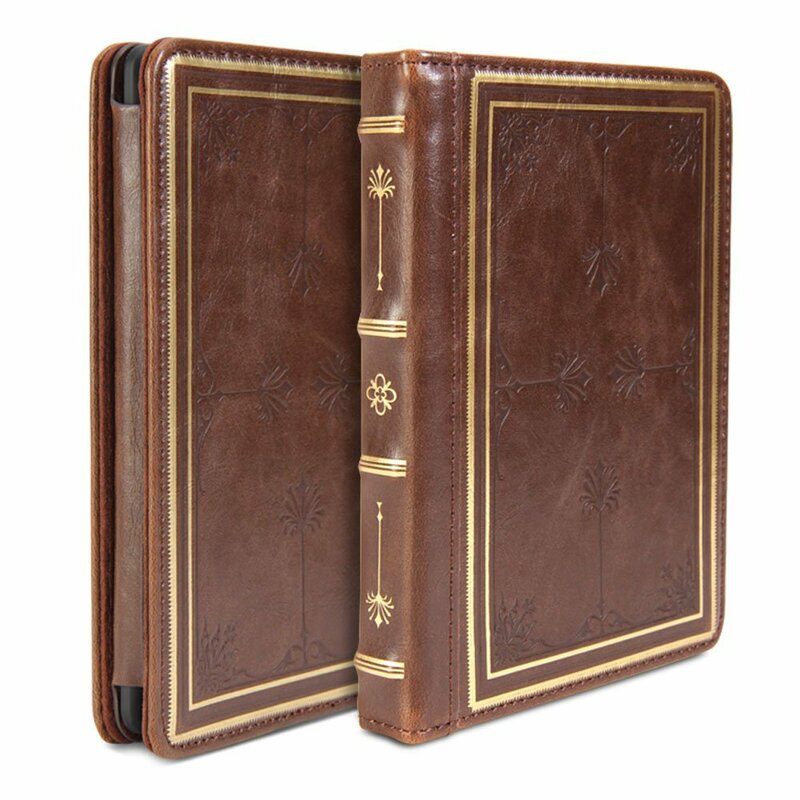 These leather Kindle covers will help him feel like he's still holding his favorite book. You can also get them for his iPad or Nook. 4.) 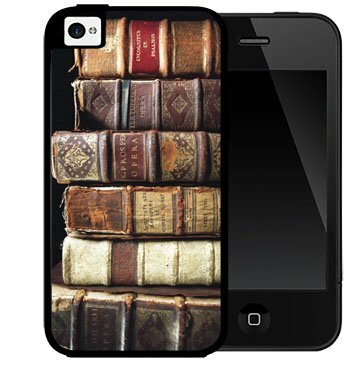 Book Page Smart Phone Cover - Why not take a page from his favorite book and turn it into an phone case? 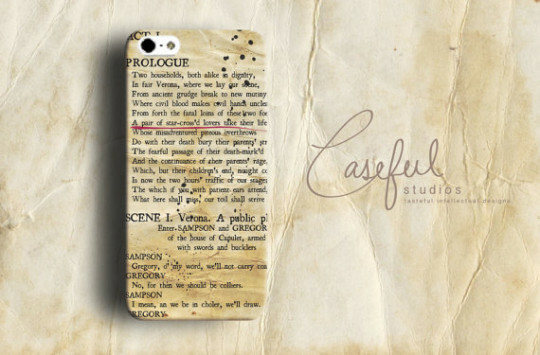 You can scan or take a photo of one of the pages of a book, maybe one with a good quote, and you can make a custom phone case. 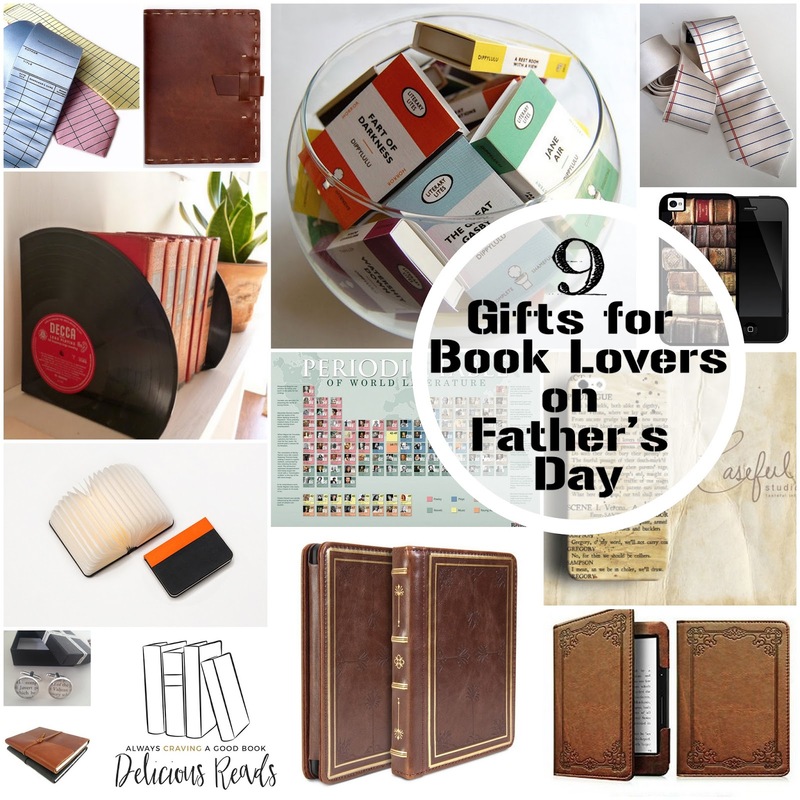 If he doesn't have a favorite book, but appreciates the classics, this stacked books case might be the one for him. Check out some of these other book-themed cases. 5.) 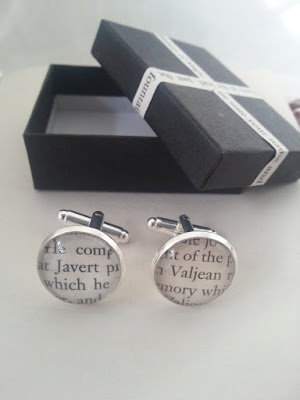 Book Page Cuff Links - For those guys that are into looking slick and love books, combine the two and you get a literary fashion statement. Again, you can personalize them and do-it-yourself using these instructions or you can buy a set like these Les Miserables themed cuff links. 6.) Library Card Neck Tie - Okay, I know it's traditional, but what guy doesn't need a tie for work, church, or a night on the town? 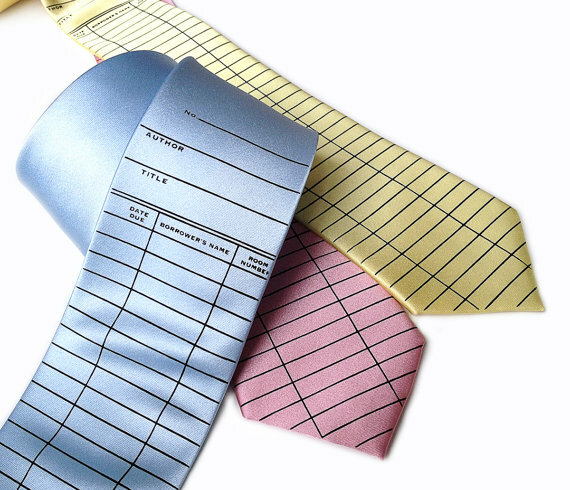 These library card neckties are the perfect answer to any book lover. 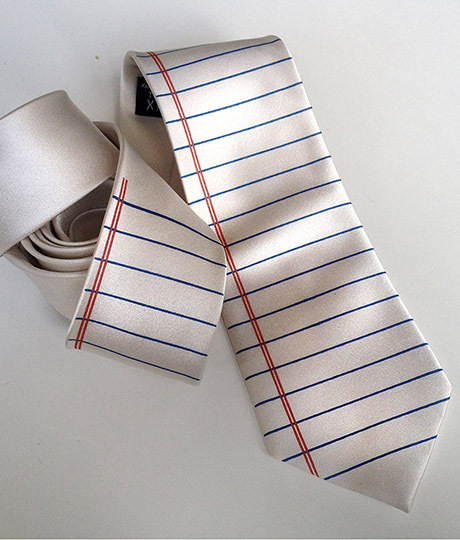 If he's more of a writer than a reader or maybe he teaches school, the college-ruled paper ties will keep him at the top of his class. 7.) Leather Bound Journal - Taking notes or journaling just got a whole lot more rugged and manly. We LOVE Rustico! These handmade notebooks and journals are useful and durable, something that man in your life will appreciate. You probably will want to pick up one for yourself while you browse Rustico. 8.) Portable Book-Shaped Light - Reading at night just got a whole lot more fun! This portable light by Lumio is sure to light up his life. Keep it on his night stand or dresser or even hang in from the ceiling, this book is sure to keep his love of books alive and bright. 9.) Penguin Matchbook Books - Some men are just endearingly immature. 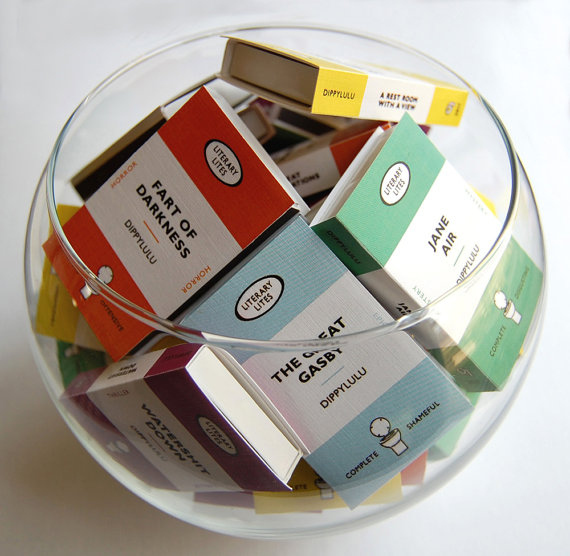 These matchbooks disguised as books with gag titles will be the perfect gift for him. I bet he's always wanted to read "Fart of Darkness" or "A Restroom with a View." Be warned. Not all of the titles are wholesome, but they are sure to bring a laugh. I know you want to get Daddy what he wants, but if one of these ideas above don't seem to fit with your little bookworm, get him a book! I put together this great list of 24 books that all guys would love (not just teens). If all else fails, get him a gift card to a local bookstore or check to see if his favorite author might be coming to town this year. You could give his a "save the date" card and be book nerds together for a date night. 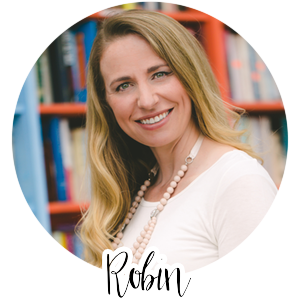 Read more about me & my books at www.byrobinking.com. It's a fantastic thing that if we give gift leather journals to other. 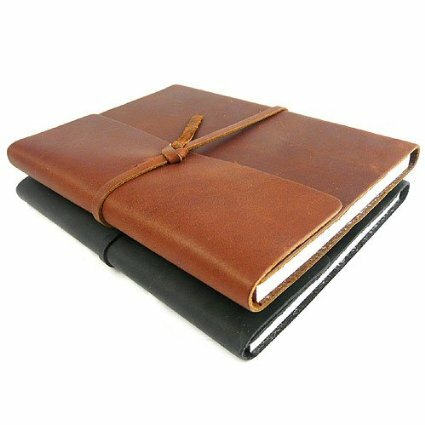 you can log your thoughts in leather notebook, diary.